Weight Loss Support is invaluable in weight loss, and a great support team can be the difference between long term success and failure. Support needs are different for each one of you. Some of you like people to notice your weight loss, and like to talk about it, but some of you are private and feel threatened when people notice you. Part of your success story, will be to determine what you need, and gather a few support people that can help you on your journey. You must learn to verbalize to others what is helpful to you. This can be difficult, and may mean you will need to develop some new friends. Many times your friends, and family members do not understand the support that you need, or want you to succeed. They can even intentionally make your path difficult. They may not understand that you are not dieting, but making Lifestyle Solutions, and trying to develop healthy diet habits. They may judge you when you eat a treat, because you are not depriving yourself. 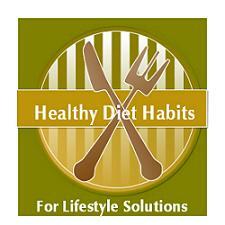 They may think you are not dieting correctly, and give you unwanted advice. This can be hurtful. Friends that will listen to you and give you good advice, but not judge you. Friends that have been successful at weight loss and can mentor you. Friends that will be diet buddies, or exercise buddies for accountability. Friends that will cheer you on and care about you and help motivate you. A doctor, diet coach or nutritionist, personal trainer or counselor, who can offer you help to get started and give you a clear path to follow. Their training might not be free, but their expertise will be a valuable help. Surround yourself with people who will go the extra mile for you. Maybe your friends will help you by choosing to eat at healthier restaurants with you, removing their candy dishes from their desks at work, bringing healthy treats to your book club, or just joining you at your lunch hour for a salad, and half an hour walk and talk. There are friends that will do these wonderful things for you. Keep them near! Use our "Contact Us Form" to contact us in private. Share YOUR Weight Loss Stories with Us - We want to help you celebrate your success, and encourage you, because keeping the weight off is difficult too!